Since the launch of dairyofanaesthete a couple of years ago our family has grown daily. Thousands of people from all corners of the world have connected over the medium of this site and I couldn’t be happier or more inspired by this incredible movement. Is your unique, personal enterprise in need of a global audience, a full set of quality, professional photos and video, a thoughtful and soulful review finished to a standard only an Aesthete knows how? Diary of an Aesthete is always on the lookout for Unique Accommodation, Nature and Wildlife Safaris, Eco Lodges, NGOs, Artists and Photographers with whom to collaborate. With 5000+ newsletter subscribers, current articles have reached a readership in 152/195 countries worldwide (so far) without the help of paid advertising. Commercial advertising has been kept off this site entirely. I’m only interested in working with people/companies that suit my site, ethics and artistic instincts. I’m not trying to make a dirty fortune or become famous through this site. I want to work on projects that excite and inspire me, highlight important causes, and inform and inspire others after me. My creative life has been centred around the bespoke, chance happenings and the meeting of like-minds. I adore any opportunity to get creative, to connect or collaborate, to share and inspire. There’s nothing better than a close community, a family business, any sort of collective celebration of life ~ Collaboration. I have adopted the ideals of ‘Slow Travel’ – therefore prefer to spend more time in each place/take multiple trips to any given country to facilitate more complete and natural submersion into new cultures, thus a more mindful, aware and sustainable travel ethic. I do not support traditional ‘fast’ tourism or tour companies that promote it. I prefer to stay with local people, work with independent businesses, and, where possible, stay on ecotourist sites. I always use public transport when travelling in foreign countries, employ local tourguides and do as much as possible to see any money I spend go into the pockets of local people and families. Darker areas signify greater views. If you have a project you’d like to collaborate on then please get in contact. All ideas and budgets and locations considered. Click on blue links for featured reviews. Fathala Wildlife Reserve, Lion Walks and Luxury Lodges – Senegal – one of the most incredible, earthy experiences of my life. Not only was my time in the forests of Fathala an education in the beauty of the wild, but also an education in the importance of conserving the African Bush, the regeneration of earth’s remaining wild places, and the perils of canned hunting… – Official Site. Bedouin Hospitality – Negev Desert, Israel – take an authentic journey deep into the most fascinating and diverse desert landscape in the world, eat, sleep and live alongside the true Negev Bedouins and experience a culture that goes back almost 7000 years – Official Site. Aire de Sevilla Arabic Baths – Seville, Spain – feel the passion, intensity and rich colour of the Spanish soul – Official Site. With photography by Pavel Colón. Florence Classical Arts Academy – Florence, Italy – study classical and fine art in the beautiful and inspiring city of Florence, cradle of the Renaissance, under expert tuition – Official Site. The Gerry Martin Project – Hunsur, India – I spent nearly a whole month working with TGMP in July of 2015. I learnt first-hand how to handle wild venomous snakes under the close guidance of herpetology expert Gerry Martin himself. The Project helped me to organise bespoke excursions into the deepest jungles on the sub-continent, and work on some fantastic projects in rural communities across Karnataka – Official Site. Jungle Retreat, Masinagudi – India – unique, family-run safari lodges with campus in the middle of Mudumalai Wildlife Sanctuary and Tiger Reserve. I had the unique experience of bathing elephants in the wild, tracking wild peacocks and sleeping alongside leopards and bears… – Official Site. 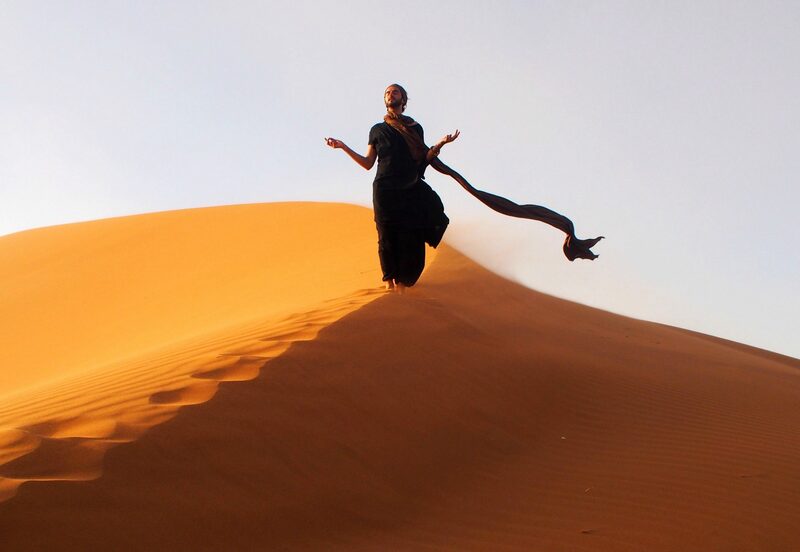 Sahara Moon Excursions – Morocco – ever dreamed of living like a true nomad? Crossing the tallest dunes of earth’s most enchanting landscape with the people who have lived there for millennia… the Saharan Berbers. Eating, sleeping, dreaming in a way of life hardly changed since ancient times. – Official Site. I stayed with Noureddine and his family for 10 days in May 2017 and became honourary ‘brother’ – totally sharing in their way of life. Sahara Moon Excursions can organise any trip based around your needs, offering you an authentic, bespoke experience, anything from 1 night to a month… or more. Begue Pokai – Senegal – unique, family-run guesthouse, on Senegal’s beautiful western coastline. Skip noisy Dakar and find tranquility at this welcoming beach-side paradise. The perfect place to rest your weary traveller’s feet and meet like-minded people from across the globe… – Official Site. Ecolodge de Lompoul – Senegal – sleep in a luxury tent on the edge of the beautiful and tranquil Lompoul Desert. Dance with bedouin bands, organise camel rides and watch the sun setting across golden sands… – Official Site. Hotel Canada – Venice, Italy – unpretentious yet genuine Venetian house on a historic square, next to a church, in the centre of town. Watch small boats passing down below your bedroom window and wake-up in the morning to the bells of St. Mark’s… – Official Site. Volta Children’s Fund – Ghana – Living in an orphanage in Africa is truly an unforgettable experience. The Missahoe Children’s Home has been such a fantastic base to explore Ghana, and Mawusi, the founder and ‘Mother’ of the orphanage, is an incredible host. A life-changing experience. So far we have raised over £4000 for the orphanage, working together. Visit our site to sponsor a child and get involved- Official Site. Europass Language School – Florence, Italy – I featured in one of Cem Bilen’s videographies about student life in the school… even though it’s been said that I’m the Worst Student Ever… – Official Site. Tafi Atome Monkey Sanctuary and Sacred Grove – Ghana – enter the sacred forest, protected for hundreds of years by the Tafi Tribe, and feed their most precious hosts, Mona Monkeys, by hand. My No.1 recommendation for Ghana. No official site. Find booking information within. I want to take this chance to thank anyone who has emailed, commented or otherwise got in contact with me through this site. I always appreciate hearing from people and will always make effort to reply to every email/comment. Creating this ‘family’ has been a lot of hard work and soul, and I feel we are just getting started here, with whatever this eventually turns out to be. I hope, together, we can continue to shed the light of Truth in this world, make lasting connections, and create a legacy for our future. Please, reader, never hesitate to get in contact, if you feel the urge – whether it is to discuss a project, an idea, or to just share thoughts. It is a blessing to know you all. like-minded people for many years to come. You nourish my faith in Humanity, — yet these few words do not suffice to express my appreciation of your gifts. Thank you for taking us on your journey. We feel the amazing light of each step and stop along the way. I am so incredibly inspired by your soul, brother. This “diary”, this space, is such a true testament to the beauty that not only the world, but that EACH and every individual on this beautiful planet has to offer. May the Spirits continue to guide you to where you need to be….Many blessings brother…. Yes !! Would love to see that. Jesus and the gang, as i called them, talked to me directly, when I was nine. The connection continued with direct spiritual experiences and so I left my family’s church and went looking for answers. I’ve traveled through most world religions, belifs, native American beliefs and found love, truth, “the way” in all of them….including nature. Yet, like you experienced here, I’ve been attacked, abandoned, rejected and judged as not “having Jesus in my heart”… mmmmm…so talking to him directly and living life with the forgiveness and love he demonstrates isn’t doing that?….and how un-Christian for these people to judge so. If Jesus were walking around these days he would recoil from how his teachings have been so misused. Amen! I’m sorry to read the Great Pretenders have treated you this way, but, you know, we’re still going strong Katelon, and I personally feel my conviction in my beliefs only grows stronger with this criticism. The Peace and the Light (whether you choose to give it capitals or not really makes no difference) is something we have inside. We feel it, we know it so well. It is a part of us. And they can’t take that away from us! Never. And your final words on Jesus recoiling are spot on. Thank you. I had noticed that you repeatedly tried to follow my blog before. This time I’ll allow it. I’m not into new age, humanism, or finding the light, I know the Light, the Lord Jesus Christ. You have an impressive collection of photos. I enjoy photography as well, but I’m afraid I’m unable to travel as much as you do. I kind of stick around my neighborhood and do the best I can with my phone. Wow. So you’re telling me you can choose who does and doesn’t follow you? That’s incredible. Not even Jesus did that. Thank you for coming onto my site, clearly scanning through briefly without really reading anything and then judging me. I’m sorry that the things I say and do don’t come from your ‘formula’ or out of the King James Bible but that doesn’t make me ‘new age’ or whatever that’s supposed to mean. Yes, I play in all the sandpits, because I want to connect with all the kids in the park, no matter what clothes they wear or the colour of their hair – I talk with them, try to understand them better, perhaps share a little of what I believe, plant a seed, a little light, but generally don’t carry around my King James Bible wherever I go, as it’s too heavy. If I carried it around all the time I’d be stuck back there in that first sandpit, in the shade, with the Pharisees… the light of the sun moved round long ago, yet they refuse to leave their sandpit, walk across the park and meet it. JDC. Looks like I was right about you sir. I knew this would happen. You have talent for writing and photography– yes, contrariwise to what you claim, I did indeed read some of your material– however grace is not in your caustic reply. I am truly sorry about that. I was prepared to give you a chance, to exhibit the love of God to you by speaking the truth, but like all those reprobate it fell on deaf ears. You obviously don’t want the truth, only your own farce of showing kindness to the world without the true love of God in Jesus Christ. What a tragic situation. Your works will burn in eternal fire if you do not repent and believe in the only Way to Heaven. Don’t bother to follow my site again. I shake the dust from my feet of you. jamesdee, I think jameswriter is an pseudo-terrorist. Don’t listen to him. I’ve seen your photos, and read a bit of your travels. I think you look beautiful and healthy. In fact, you look like a magical prince from the past, living in the heaven of his next life. Keep enjoying life. It’s your reward! Thank you, I trust and respect your Wisdom friend. These people are entitled to report their emotions, and I will hence report mine. What frustrates me is when people demonstrate their Ego in the name of another, God or Christ, Allah… giving a bad name to the teachers of Creation… I love your Prince description so much… ❤ Ad Infinitum. These comments disgust me. Yes, while James did not show much grace in his response to you it is apparent that his soil is very deep. He knows that the word is love and it is simple as that. At least that is what I can tell from reading through some of his entries and his “About” which you can find in The Man or The Journey located at the top of his page. I don’t understand what it is with some people that get this God complex and feel that they can condemn people. If you knew anything about what Christ was teaching and in turn what the Father would want you would know that all are forgiven that ask to be forgiven. Think of the parable of the two sons. One left but the Father will always accept his return. But you sit here and cast stones at James as if you were free from sin. Maybe if your initial comment would have been one of openness and encouragement, James response would have been different. You mentioned that you “allowed his follow request” as if he had to somehow prove his worth to you. If you knew anything about God and Christ you would know that all are worthy to be in their presence. Thank you for your comment. I would never profess to be anything near to a perfect person but it is still nice to see that some can see the making of my soul. Sitting here, now, I feel touched by this… So thank you. Of course! I know the comment was from awhile ago but it was fresh in my mind and felt I had to express myself. None of us are! Continue to walk in the same light that you have been and good luck on all your current and future journeys. People will try to bring you down along the way but you seem to know the true purpose to life. The thing for me is righteous anger – I am not angry in defense of myself – I don’t care enough about what a few odd people think of what I do or how I express myself – what angers me, and what is evident in my comment, is people bashing bibles around people’s’ heads and giving every other believer a bad name. It is so so wrong and a perfect example of the kind of hypocrisy that made Jesus rage. I totally feel you James! I’m not a big fan of Bible thumping either. A lot of people try to impose their beliefs on others and it usually never ends up well. All of the pharisees followed God’s laws to the T but treated people not in their position with judgement and persecution, just as this guy did to you. I would have been angry too and it is people like this that give us a bad name. All we can do is try to walk in the same light as Christ and spread that love to others! Sweet! Have a good day James. Blessings to you. There should be more people like you, J.
Gosh, don’t know how to reply to that… thank you. Humbled. Gosh, this brought me tears and I dunno why. What if I’m a lost human being searching for her soul— looking for a sense of purpose in her life. Thoughts are overflowing in my mind, but my heart is full of excitement also. You are creating a fantastic legacy and I salute you ethics! I’ve been scrolling through your page all day long, and you are everything I aspire to be artistically. So inspiring. very nice. I wish I could just pack up and go. I love your free spirit and your sense of humanity. also that photo of you in the striped robe is GREAT.